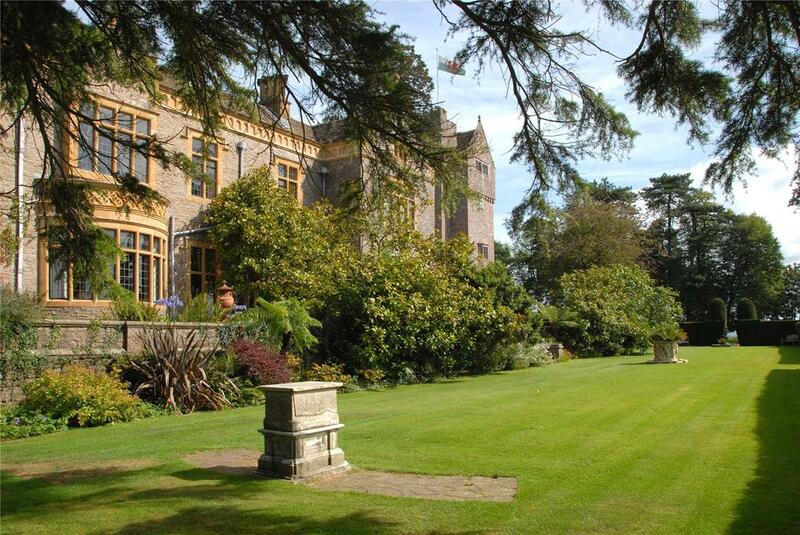 On a fine spot overlooking the Bristol Channel, Shirenewton Hall is a magnificent 19th century home which has come up for sale in Monmouthshire, within easy reach of Cardiff and Bristol. William Hosie-Lissac takes a look. With its stone pillar archways, parapet gables and ball finials, Shirenewton Hall’s elaborate architecture is a testament to its rich history. Where once stood the old home of William Blethyn, the Bishop of Llandaff who died in 1575, now stands a large and ornate house constructed around 1830 by William Hollis, who became Sheriff of Monmouthshire in 1831. 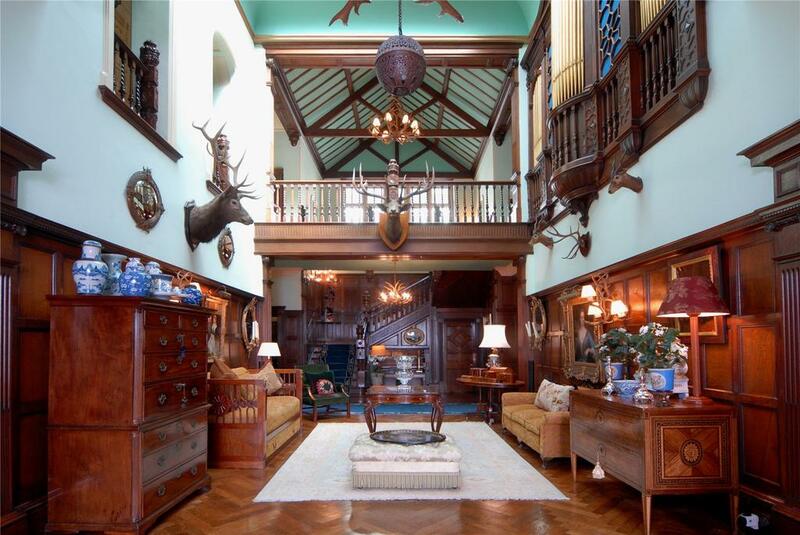 That 12-bedroom home is now for sale via Savills, priced at £4.25 million. Originally known as Shirenewton Court, the building fuses an Italianate style with oriental decor introduced by Charles Oswald Liddell, who bought the property in 1890 and served as Sherriff in 1918. 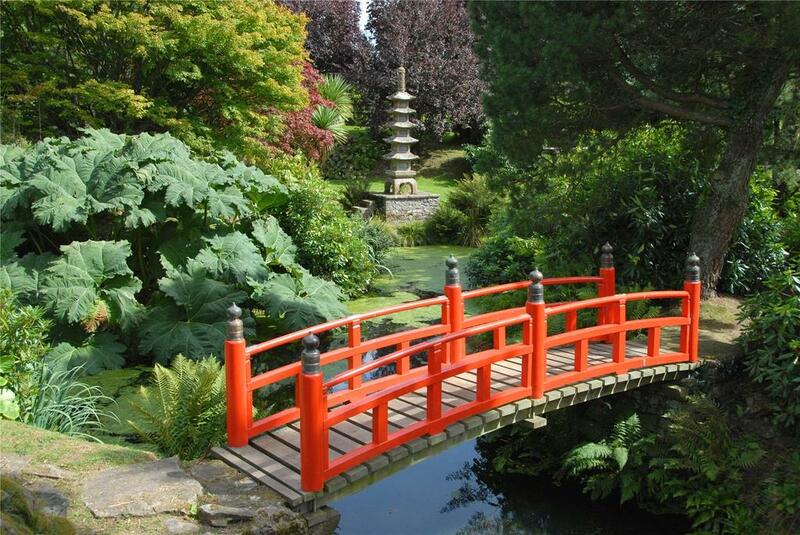 Following a major renovation by the current owners, Shirenewton Hall is now a Grade II listed building, complete with a teahouse and adjoining Japanese garden created in 1903, where one can still find an impressive one-and-a-half tonne Temple Bell under a pagoda style roof. 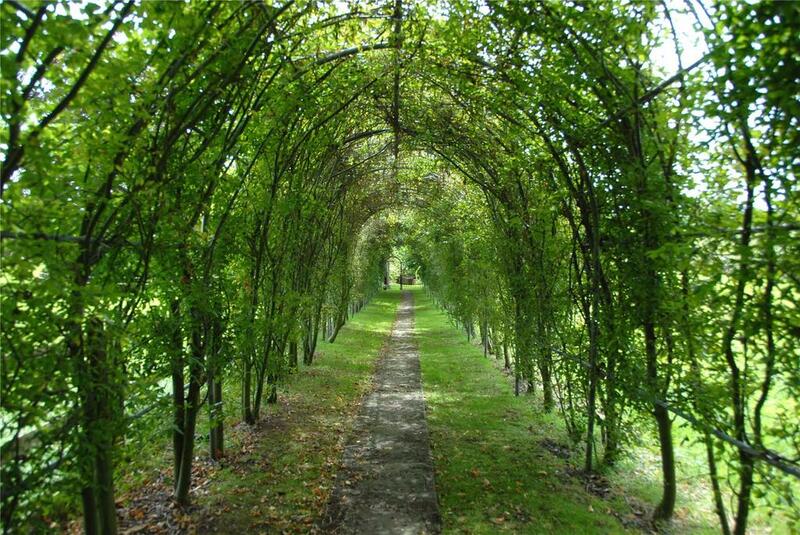 The garden contains six ponds at different levels, two bridges and charming winding pathways. Many of the plants and trees were grown from seeds brought back from the Far East. Alongside the garden, Shirenewton Hall’s most remarkable features are undoubtedly its stunning ballroom, its dining hall designed in 1910 by the flamboyant art historian and architect, Murray Adams-Acton, and its Elizabethan-style central hall and staircase which rises to a wide first floor balconied landing, holding an organ. A second lower balcony offers superb views through a high window. There are as many as twelve large bedrooms, complete with magnificent fireplaces, high ceilings and wooden panelling, whilst the master bedroom suite also includes two dressing rooms and an adjoining bathroom. 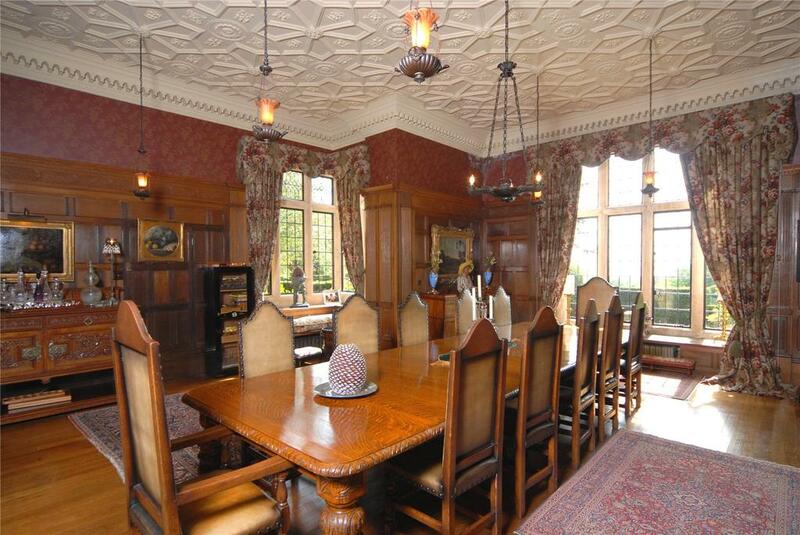 The formal rooms have panelled doors, original brass furnishings and shiny oak floors. The entrance features bronze fountain, located at the end of the front driveway where electrically operated cast iron gates open onto an avenue of trees and rhododendrons. The house also includes a veranda, a heated indoor pool and extensive cellars. Standing upon a hilltop overlooking its 29.5-acres of land, offering stunning views of the rolling Welsh countryside and the Bristol Channel from the top of a castellated tower in the southeastern corner of the house, the two-storey building is located near the picturesque village of Shirenewton, five miles to the West of Chepstow. There are plenty of things on the doorstep as well: the house is walking distance from a local primary school, a charming Norman Church and three pubs. And for something a little more active, the golf course at the nearby Marriott St Pierre is well regarded, while you could also go racing at Chepstow or salmon fishing on the River Wye. The house is also very well connected to the motorway and national rail services to London, whilst also being relatively near Bristol and Cardiff airports. 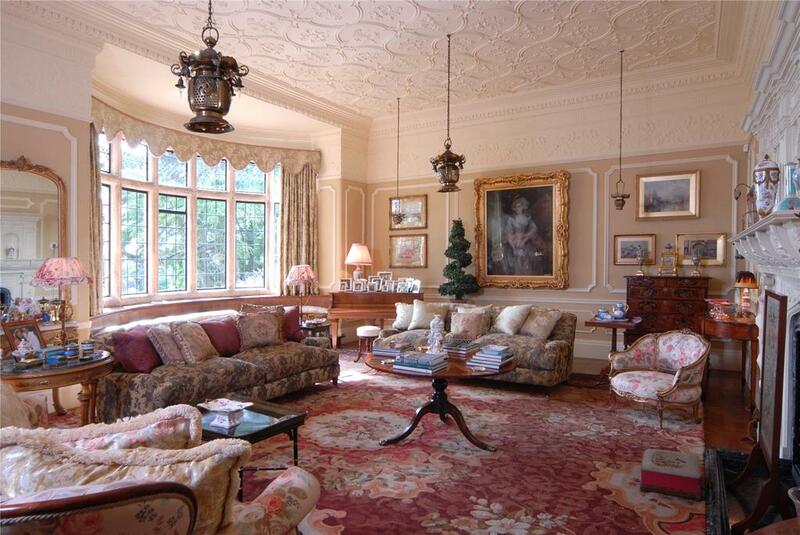 Shirenewton Hall is for sale via Savills – see more pictures and details.